Ram-raiders attempted to steal an ATM in Crowland. Lincolnshire Police were called at 2.34am this morning (Tuesday) to the Co-op store in West Street. It is believed that a Mitsubishi 4x4 vehicle and a forklift were used in an attempt to take the ATM. Nothing was taken but structural damage was caused to the premises. 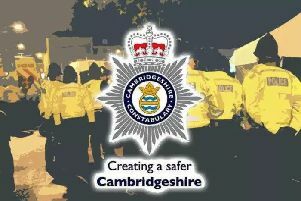 The Mitsubishi was found burnt out at the junction of West Bank, Crowland. The forklift was left at the scene, and police are investigating whether this was stolen locally. It is believed both vehicles approached the store from the direction of the river on West Street. Anyone with information, including seeing the forklift being driven in the area leading up to 2am, is asked to call police on 101 quoting incident 25 of April 16. Alternatively, email force.control@lincs.pnn.police.uk or call the Crimestoppers charity anonymously on 0800 555 111.